Where in Europe do we find the month of December so sunny and beautiful? In Calabria, in the South of Italy. 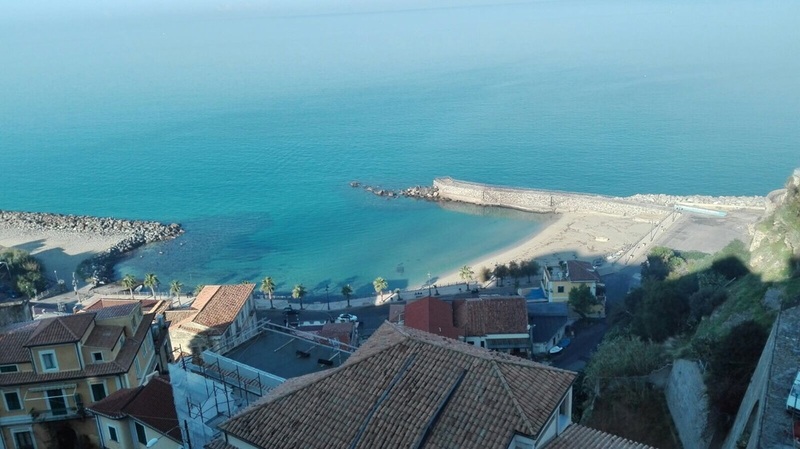 Calabria is a very green region which usually means rain in December and January. But not so much this year. Pizzitani are lucky with a splendid December. I wish I could enjoy Natale and le Buone Feste in Pizzo. The sea so beautiful and calm that one would like to take out the boat and go fishing or sunbath at the beach. But it wouldn't be Christmas without the festive Christmas lighting in the Piazza Della Repubblica! 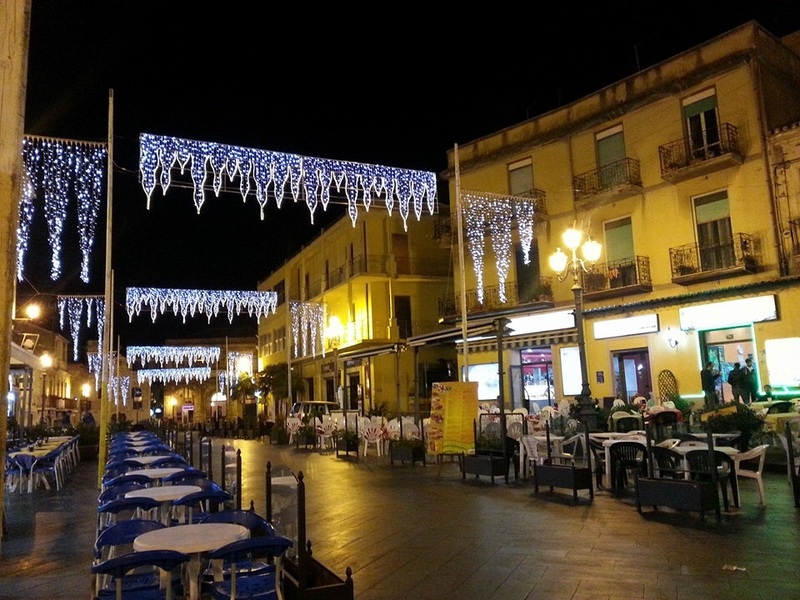 And since temperatures are still reaching almost 20 degrees Celsius during the day all bars in the piazza are well frequented. Talking bars - which means always gelateria too - the Gelateria & Bar Ercole will celebrate its 50th anniversary on December 22nd! Auguri! What I like about Pizzo and other Calabrian villages are the many religious processions that are celebrate within the village community. The nocturnal processions are especially festive. On December 8, there is the procession of the Madonna Immaculata. Questo video mostra la uscita serale della Madonna Immacolata per le vie del centro storico di Pizzo - this video shows the exit of the Madonna from the church in the evening and the beginning of the procession through the alleys of the centro storico of Pizzo. (There are more videos on YouTube). With these impressions from a festive Pizzo, I wish my readers a Merry Christmas and all the best for a wonderful New Year. Buon Natale & Buone Feste!